God promised that Abram would have as many children and grandchildren as there are stars in the sky. 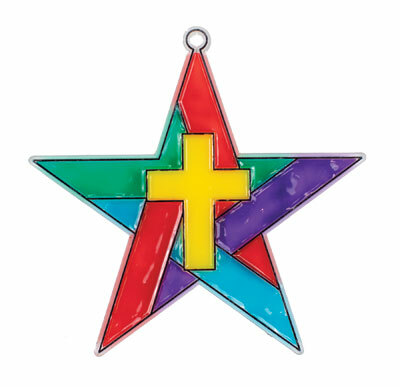 This star-shaped suncatcher craft reminds kids that they count on God’s promises, too. Contains uncolored plastic star only. Pack of 12. Pairs with Lesson 2 of Miraculous Mission VBS.